The Society for Human Resource Management (SHRM) is the world’s largest HR professional society, representing 285,000 members in more than 165 countries. For nearly seven decades, the Society has been the leading provider of resources serving the needs of HR professionals and advancing the practice of human resource management. SHRM has more than 575 affiliated chapters within the United States, subsidiary offices in China, India and United Arab Emirates and Global Forums in more than 20 countries worldwide, including Italy starting in 2018. SHRM and GEMA decided to join forces to ensure in Italy a continuous growth of the HR profession, the development and certification of HR competencies , the comparison with international practices and trends and the networking with HR professionals internationally. GEMA wants to go beyond national borders, offering its customers (companies and professionals) the best of what is available in Italy and abroad. In this direction, GEMA has been accredited as SHRM partner in Italy. WHAT SHRM AND GEMA OFFER TOGETHER? 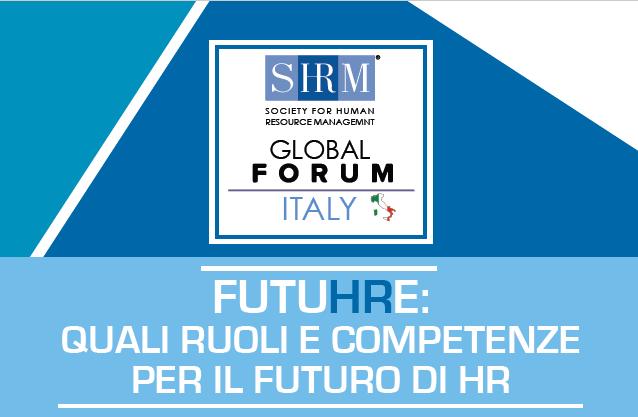 The SHRM Global Forum Italy, promoted by GEMA Business School in collaboration with SHRM, is the “go to destination” for HR professionals that have an international mindset and approach. Our objective is to Advance HR in Italy, ensuring continuous learning and innovation through the exchange and contamination among members of the Forum and more in general with SHRM internationally. Leveraging on SHRM and on its members internationally we will self organize our calendar of initiatives: featured speaker(s) sessions and webcasts with experts, networking events, company visits, delegations to international SHRM events, business luncheons & breakfasts, hackathons, book discussions and many more..